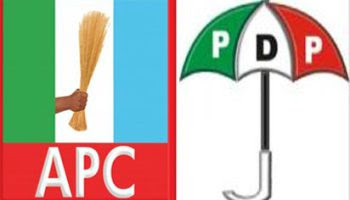 Over 5,000 members of Peoples Democratic Party, PDP, in Ughelli North Local Government Area, Delta State, have defected to All Progressives Congress, APC. “Ughelli is a town that connects many other towns together, yet we cannot boast of durable roads. All projects that were started in Ughelli were abandoned by the current administration. “If you go out there right now, you will see Deltans struggling to survive despite the huge allocations that come to Delta State,” he added, urging Deltans to embrace people who are passionate about changing society for good, rather than supporting those who care less about their well being. Chairman of APC in Delta Central, Chief Adelabu Bodjor, and Chairman of the party in Ughelli North, Olorogun Felix Ekure, in their separate remarks, welcome the new members, saying APC was a party where every member has equal rights. They said APC was out to dislodge PDP in the next council election and the 2019 general election.